In a shallow bowl, combine flour, salt and pepper. Dredge salmon fillets in flour mixture, brush off excess flour and set aside. In a skillet, melt butter over medium heat. 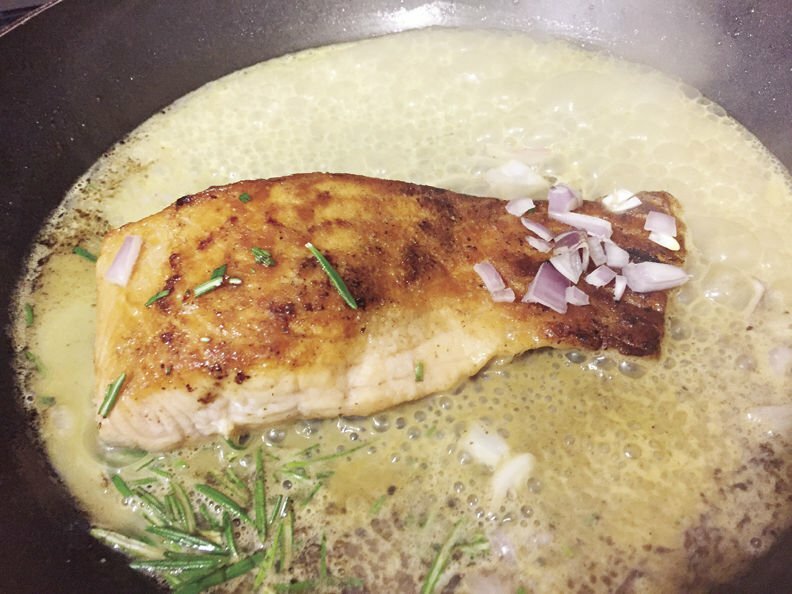 Add the salmon and saute for 1 to 2 minutes on each side. Add orange juice, Chardonnay, rosemary and shallots, and boil gently until liquid is reduced by half, about 3 minutes or more. Stir in maple syrup. Cut fillets in half and serve with sauce. (You may substitute whole, boneless chicken breasts (pounded flat) for the salmon, and ½ cup chicken stock for the orange juice. In a skillet, cook bacon until just barely cooked, and is pliable. Remove and drain on paper towel. When cool enough to handle, wrap bacon around scallops and hold together with a toothpick. (Brush with mixture of syrup and mustard if not using bacon). 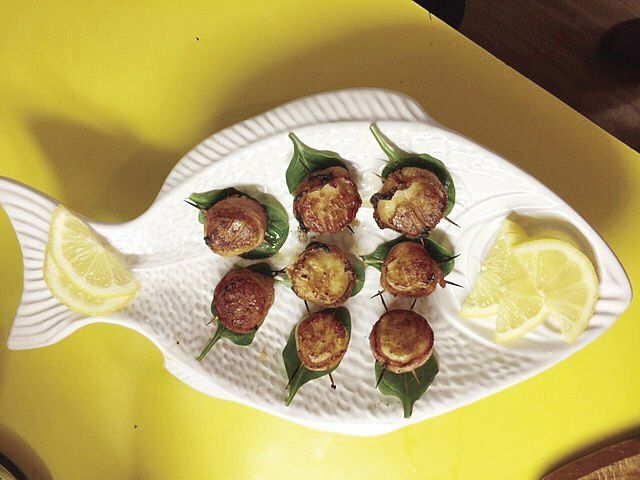 Bake 12 to 15 minutes until bacon is crisp and scallop is tender, turning (use tongs) once. Serve as an appetizer or main course for two.